MSRS "Loutch" performed in the normal mode the task of transferring the telemetry data with transport manned spacecraft "Soyuz MS-05", successfully put into orbit by carrier rocket "Soyuz-FG" July 29. 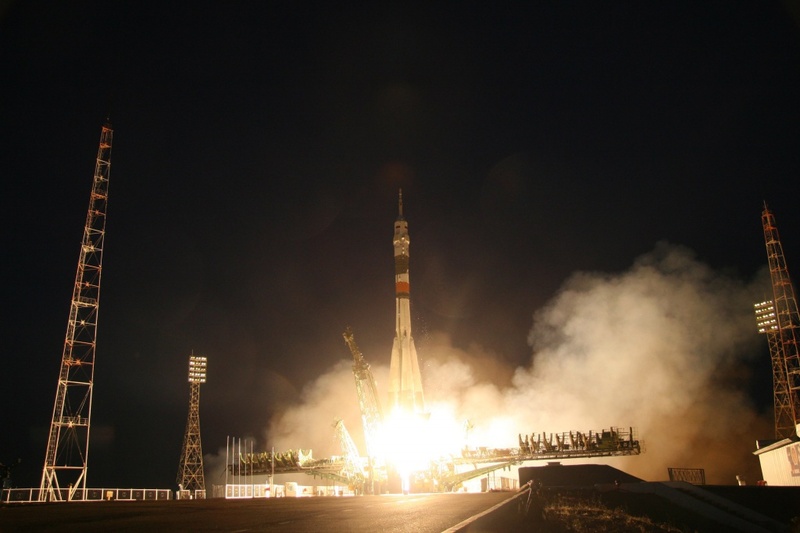 The ship, launched at 18:41 Moscow time from the platform №1 of Baikonur cosmodrome, made a scheduled docking with the International space station at 01:01 GMT, bringing her international crew of three astronauts: Russian Sergey Ryazanskiy (ROSCOSMOS), us astronaut Randolph Bresnik (NASA) and the Italian astronaut Paolo Nespoli (EKA). In particular, to a successful docking with the ISS is performed via the short scheme, means MKSR "Ray" was successfully held 9 sessions relay. In performing responsible tasks for them to ensure the run involved 2 spacecraft orbital grouping MKSR "Loutch": "Loutch-5A", "Loutch-5B". The relay channel used for the transmission of telemetry data and commands in the control channel.